The title is a lie, actually. I had an insanely nice day pottering around with the boyfriend, even though the weather has been weird weird weird. I'm getting bored of dressing for winter now... due to my rule of never wearing the same outfit twice, I feel I have now pretty much exhausted every sartorial option that my wardrobe offers up to me. Summer now pleaseeee. I call this outfit '90's grunge mixed with flapper mixed with Audrey Hepburn'. Two spring 2012 trends combined with an all time classic, plus the ubiquitous Chelsea boots*. 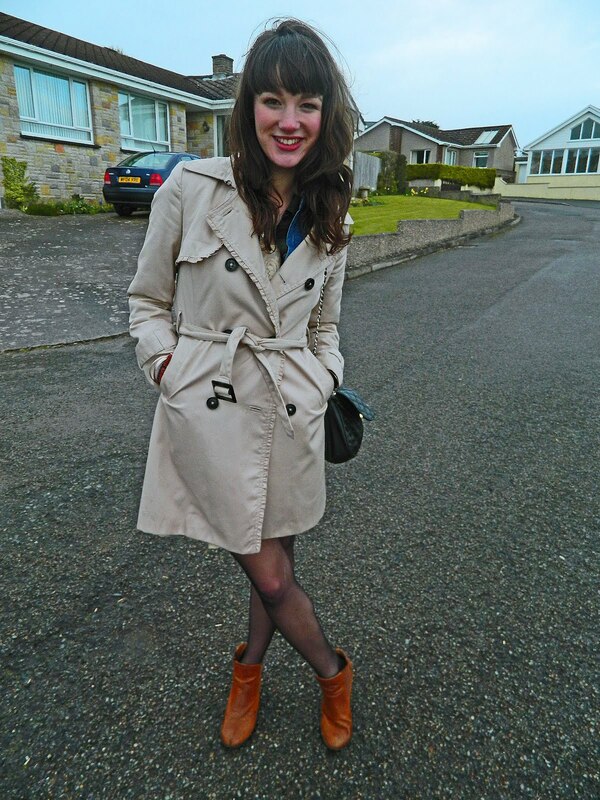 The trench is H&M, the dress is Zara* and the two shirts are vintage, from the COW Warehouse in Birmingham. My Chanel 2.55 rip- off bag is from ASOS. * They're from River Island and started breaking a MONTH after I bought them, after about 5 wears. Y'know, just after the last date when I could take them back from a refund. Typical. 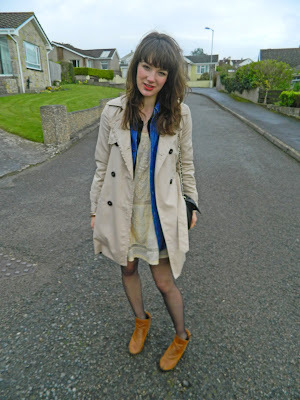 ** I love my Zara flapper dress, which I found in the sale for £15. It's already a Spring/ Summer staple! Zara, unlike River Island, would never rip you off. *** Excuse the last photo, due to the pelting rain it was the only outfit without trench photo that we could take before having to sprint back inside, where it was warm and dry. I found your blog by chance, while peeking others and I decided to check it out! I’m glad I did it, because I reaaly like it and I believe it's in the right path to become a success. I think we're going to get along just fine! ;) I’m your new follower and I’d be very pleased if you like my blog enough to follow it as well! You look so fabulous! 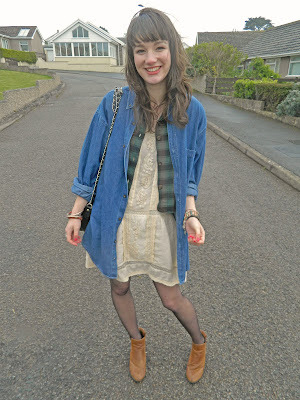 You are beautiful and this outfit is precious.Amazing blog and a wonderful post!